Extremely sharp, tough and hard blade is made from 301 stainless steel which can shred beans into ideal coffee powder and provide a strong flavor taste. One button design make sure you can release your hand while you are grinding. It only takes about 90 seconds to get the refined powder. The transparent cap ensures that you can see the effect of grinding directly, so that you can adjust your running time according to your preferences and ensure the coffee taste. Simple black appearance, 6.7in/17cm high portable size design, easy to carry, and can be easily stored in cupboards and drawers. 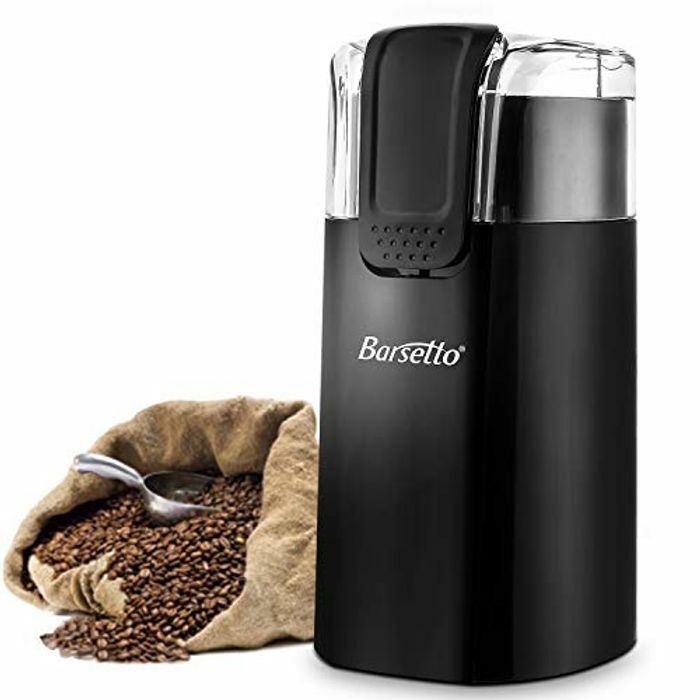 In addition to grind coffee beans, Barseto electric grinder can be used for chopping or grinding seeds, nuts and spices. Wow wot a steal !